A second Greenland crater discovered? Scientists are now claiming they have found a second crater buried under Greenland’s icecap. To confirm his suspicion about the possible presence of a second impact crater, MacGregor studied the raw radar images that are used to map the topography of the bedrock beneath the ice, including those collected by NASA’s Operation IceBridge. What he saw under the ice were several distinctive features of a complex impact crater: a flat, bowl-shaped depression in the bedrock that was surrounded by an elevated rim and centrally located peaks, which form when the crater floor equilibrates post-impact. Though the structure isn’t as clearly circular as the Hiawatha crater, MacGregor estimated the second crater’s diameter at 22.7 miles. Measurements from Operation IceBridge also revealed a negative gravity anomaly over the area, which is characteristic of impact craters. It must be emphasized that this conclusion remains very uncertain. What they have found is a depression that has features indicative of an impact crater, data that is far from sufficient to definitively prove the crater is real. Scientists have raised questions about the meteorite impact that was reported to have occurred in Nicaragua on Saturday. More here. There are doubts about the impact crater, the theory that the meteorite was somehow related to the meteorite that flew past the Earth on Sunday, and the boom sound that local residents heard that same night. Mars Reconnaissance Orbiter spots a new crater on Mars. The scar appeared at some time between imaging of this location by the orbiter’s Context Camera in July 2010 and again in May 2012. 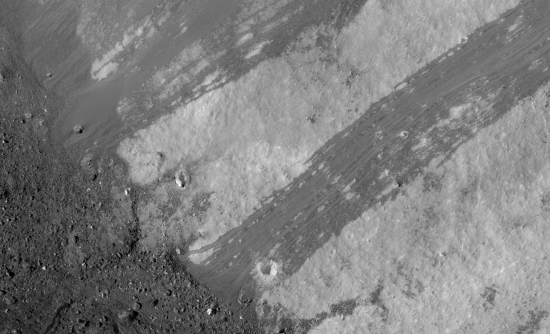 Based on apparent changes between those before-and-after images at lower resolution, researchers used HiRISE to acquire this new image on Nov. 19, 2013. The impact that excavated this crater threw some material as far as 9.3 miles (15 kilometers). The Lunar Orbiter image of Copernicus Crater, taken forty-six years ago, has been re-released after significant refurbishing..
Reboot: The Lunar Orbiter image of Copernicus Crater, taken forty-six years ago, has been re-released after significant refurbishing. By adding modern computer interfaces and data handling techniques, the LOIRP was able to scan and record the data in ways that simply could not have been accomplished in the 1960s. As a result the images that were obtained had a much higher resolution and dynamic range than had been seen to date. Indeed, in many cases, these images often rival or exceed images taken by the Lunar Reconnaissance Orbiter which is currently surveying the Moon. 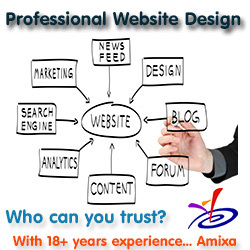 You should definitely check it out, as it is a breathtaking image. Historic too, as it was the first image from the Moon that truly made the place understandable. 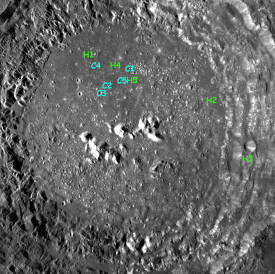 Indian scientists, using data from their lunar probe Chandrayaan-1, have found evidence for past volcanic activity on the central peak of the crater Tycho. 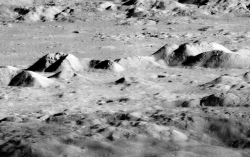 The science team of Lunar Reconnaissance Orbiter released an intriguing picture yesterday of what scientists call a granular flow down the side of a five mile wide crater on the far side of the moon. Looking at the image, one would swear that the darker material flowing down the slope of the crater rim is a lava flow frozen in place. However, according to the scientists, that is not what it is. Instead, this is merely debris left behind from an avalanche. Could weird lunar crater be the crash site for Lunar Orbiter 2? Could this weird lunar crater be the crash site for Lunar Orbiter 2? The Lunar Reconnaissance Orbiter website recently announced a new way to tour the Moon. The website, called QuickMap, allows a user with any home computer to zoom into any spot on the lunar surface and see the high resolution images being taken by Lunar Reconnaissance Orbiter. 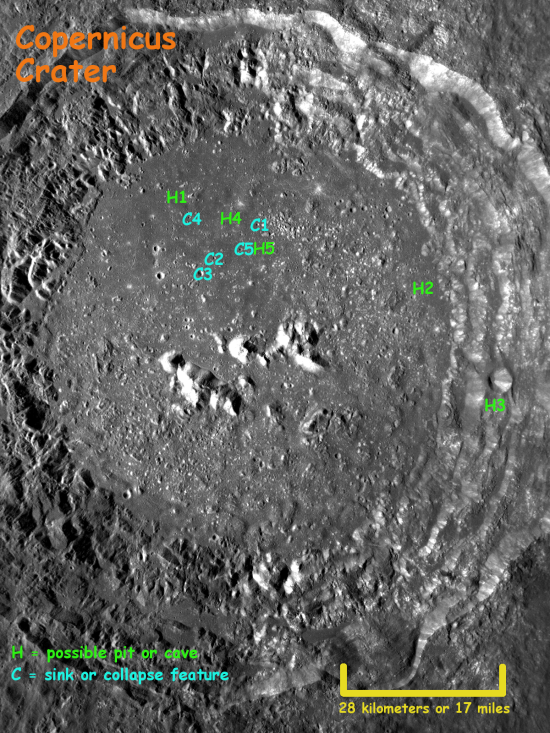 What I found in the northern half of Copernicus’s floor was a plethora of possible caves and collapse features. Literally, the crater floor is littered with what appear to be pits, fissures, rills, and sinks. More significantly, sometimes the cave entrances line up with long straight collapse features, suggesting strongly the existence of extensive underground passages beyond the initial entrance pits.